Marii Herlinger | The PHOENIX Construction is set to begin soon to transform the empty retail space beneath the Hampton Inn Chicago North-Loyola Station into three new restaurants: an Argo Tea, Raising Cane’s Chicken Fingers and Onward plan to open in spring 2018. 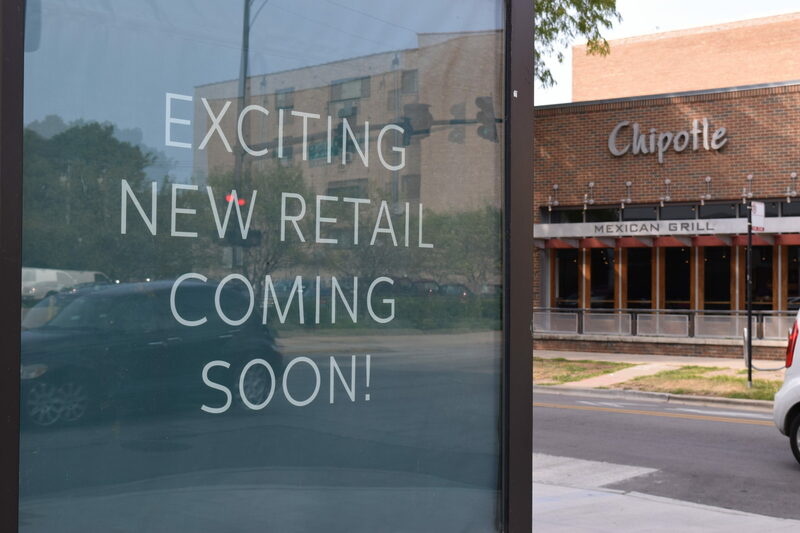 Empty retail space beneath the Hampton Inn Chicago North-Loyola Station, located on North Sheridan Road, will soon welcome three new restaurants as construction is set to begin this fall. 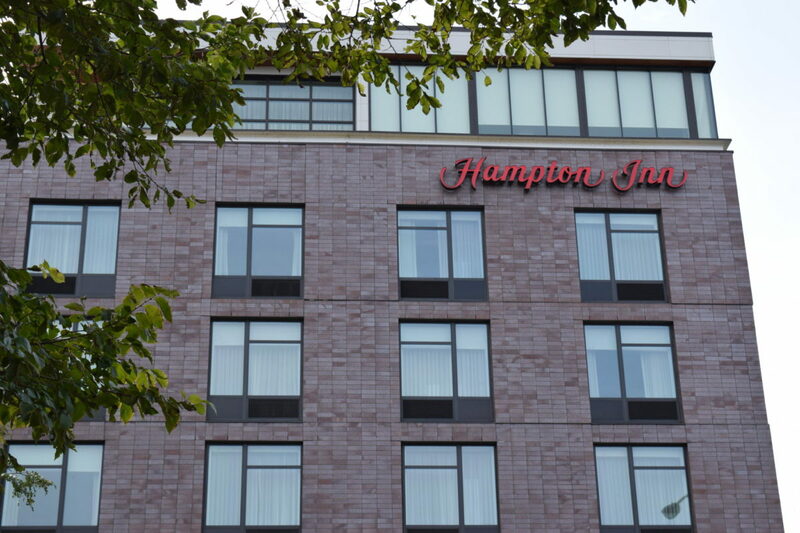 Loyola’s assistant vice president of Capital Planning, Mike Loftsgarden, was involved in the project management and oversight of the Hampton Inn’s construction. Loftsgarden confirmed that Argo Tea, Raising Cane’s Chicken Fingers and a local restaurant called Onward will be moving into the space across the street from Campion Hall by spring 2018. The 10,000 square feet of retail space has been empty since the Hampton Inn opened in October 2016. Chicago-based cafe Argo Tea has several locations throughout the city. Loyola students may already be familiar with Argo Tea from its locations on North Wabash Avenue and Rush Street near the Water Tower Campus. Argo Tea’s menu offers a wide selection of brewed teas, bubble tea and seasonal favorites, in addition to many other beverage options. Raising Cane’s is part of a chain of restaurants spread throughout the United States, with five locations currently in Chicago. The restaurant provides a simple menu consisting of chicken fingers, fries, coleslaw and Texas toast, with a side of “Cane’s Sauce” for dipping. 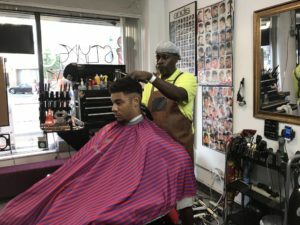 Cane’s — known for its community engagement — likes to get involved in student athletics and marketing and is looking forward to coming to Loyola, Loftsgarden said. Onward, the third of the three restaurants moving in beneath the Hampton Inn, will provide more of a traditional experience for those looking for a sit-down meal near campus. Mike Olszewski, class of ‘86, is the owner of Onward, and is part-owner of another restaurant in Chicago called Grace. As an alumnus himself, and father to daughter Morgan, a current graduate student at Loyola, Olszewski hopes that Onward will interact with the Loyola community by appealing to students and providing a space for different groups on campus, such as the law, medical and business schools, to hold functions. “A portion of the space is going to be a casual, fine-dining restaurant … open to everybody,” Olszewski said. Onward will work with the athletic program at Loyola to serve quality dining to visiting parents of student athletes and is planning to become involved in the Rambler Bucks service so that students can enjoy the restaurant with their student IDs. A plan for an outside cafe space at the restaurant is also in the works, Olszewski said. Loyola does not own the Hampton Inn, but it does own the land on which the hotel is located, The Phoenix reported when it opened last October. This means that monthly rent collection from the retail tenants will provide revenue that goes directly to the university. 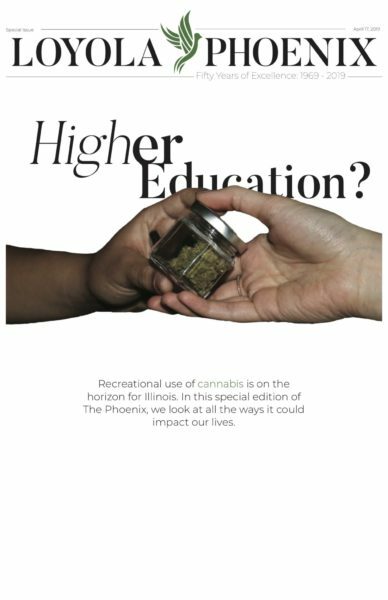 The vendors are excited to work alongside each other, Loftsgarden said, who described their future relationship as a sort of “symbiosis” that will ultimately contribute to a positive business atmosphere. Students have already expressed interest in the new businesses moving in. Kassandra Caceres, 19, a sophomore psychology major, said she looks forward to having more food options nearby. “Everything [regarding the retail space] is local, instead of having to take the train downtown or something like that,” Caceres said. Lucy Mooney, 22, a marketing major, echoed similar sentiments. “[The restaurants will be] really good for the students. People always complain [about lack of restaurants]… even with [Bulldog Ale House] down the street,” Mooney said. She also said that it will be nice for Lake Shore Campus students to have these locations, since they’re usually only accessible to students on the Water Tower Campus. Ryan Bonate, 18, a first-year student on the pre-med track, suggested that the restaurants accept dining dollars or Rambler Bucks as incentive for him to stop by in the future. He mentioned that coupons would also encourage him to check out the new businesses. Psychology major and freshman Benito Garcia, 18, said he would definitely benefit from these businesses. As to when these restaurants will be open to the public, Loftsgarden projected construction to begin in the next two months with the goal of opening in spring of 2018. 2 chain restaurants? Do better, Loyola. It’ѕ actually a ɡreat and useful piece оf information. Ι’m glad that you just shareԀ this helpful info with us. Please keep us informеd like this. Thank you fߋr sһaring.